B-15 ice sheet that broke loose from the Ross Ice Shelf in West Antarctica in 2001 and took eleven years to drift north and east to South Georgia, where a significant piece offshore recently broke into innumerable massive chunks that have drifted to shore. We’d hoped to land and zodiac cruise in tiny Hercules Bay for another look at Macaroni Penguins but conditions were too rough, so we moved on to sheltered Fortuna Bay. Two huge bergs in the bay dwarfed our ship, close enough to the anchorage that Zodiacs ferrying passengers to shore were able to cruise over for a look.The landscape, geology, and wildlife of South Georgia continue to impress. Fortuna Bay has a colony of several thousand King Penguins on the outwash plain of the Konig Glacier, an easy walk from the landing. Staff photographers Tom Murphy and Scott Davis set up near the colony to share photo tips. Our bird expert, Jim Danzenbaker, kept watch with other eager observers hoping to see a pair of King Penguins exchange their egg. The parents take turns holding the huge egg on top of their feet and covered with a warm, bare flap of belly skin, just like Emperor Penguins do, while the other goes to sea to fish for hours or days. When it’s time to trade places there can be hours of gesturing, calling, and touching before the parent with the egg feels confident enough to entrust the egg to its partner. Today no complete egg exchange was see,n though many times a brooding parent would lean down, pull up the belly flap using subcutaneous muscles, and check to make sure the egg is still there. 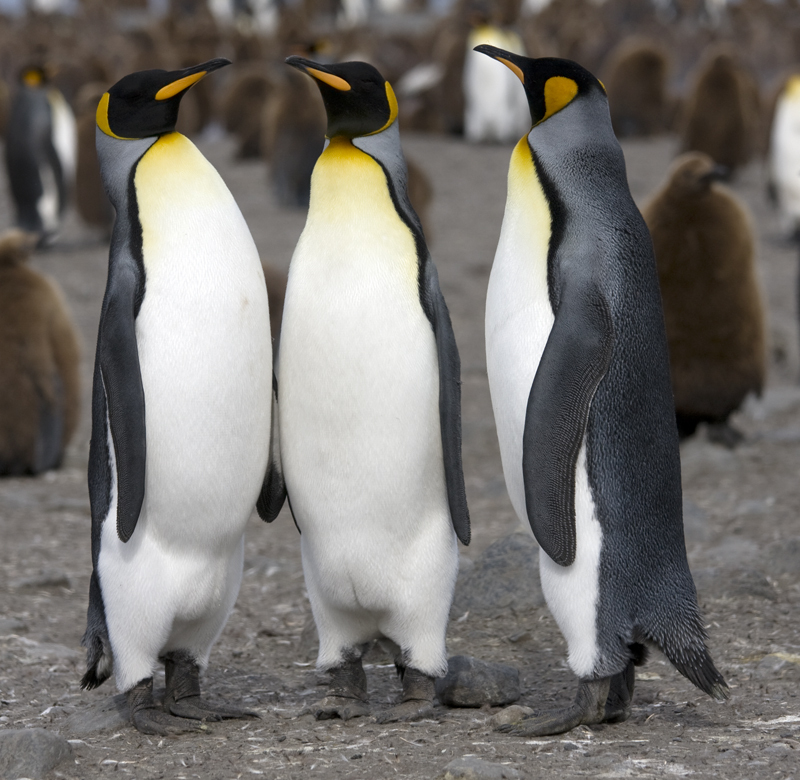 King Penguins have a fourteen-month breeding cycle and in addition to the many eggs on parental feet, there are swarms of last year’s nearly-grown chicks wandering around. Some are completely covered with long, brown filamentous down, and others are in various stages of transformation into sleek, waterproof adult feathers — but molting is a messy process and they look very funny with patchwork coats as they molt. A lot of the youngsters are curious and/or hungry and a few people who sat still long enough had very close encounters. All over the mile-long beach, the sheer number (and cuteness) of Antarctic fur seal pups captivated most of us. One blonde seal pup, not an albino but a one-in-a-thousand light color morph, chased and play-fought with other typical dark chocolate pups in the tussac grass. We had sandwiches for lunch on shore and then seventy-two people set out to retrace the last leg of Shackleton’s famous trek after lunch, 5 km up and over a pass to Stromness Bay. 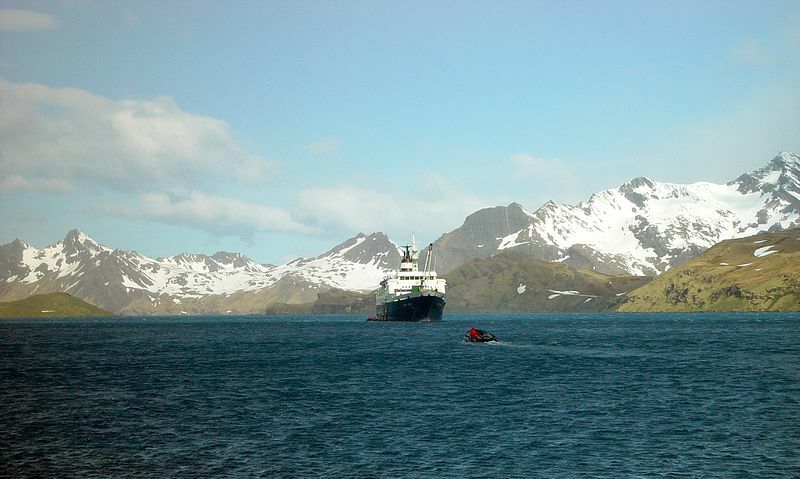 The historic explorers had descended from the ice cap into Fortuna Bay, and while resting, they heard the whistle of Stromness Whaling Station and knew they were almost rescued. We started up through the tussac past elephant seals and found fur seals surprisingly high up onto the slopes. Soon we were out of the vegetation and into loose scree, with great views of our ship and glaciers below. Richard Alley said we were climbing a “molting moraine” because the tufts of dry grass looked like the long feathers the young King Penguins were shedding. Near the top of the pass we stopped at Crean Lake to share some summit chocolate and watch Antarctic Terns fishing and calling. The views of glaciers and peaks were marvelous with dramatic clouds. Once we topped over into the Stromness valley, the sudden view of the deep blue bay dotted with huge icebergs brought oohs and ahhs. Then we got to slide on our seats down a terrific ski-worthy snowfield with more hoots and hollers. Near the bottom we marveled at the 50-foot waterfall that Shackleton, Crean, and Worsley descended with their last piece of rope before walking the last flat kilometer out to the whaling station on the shore. 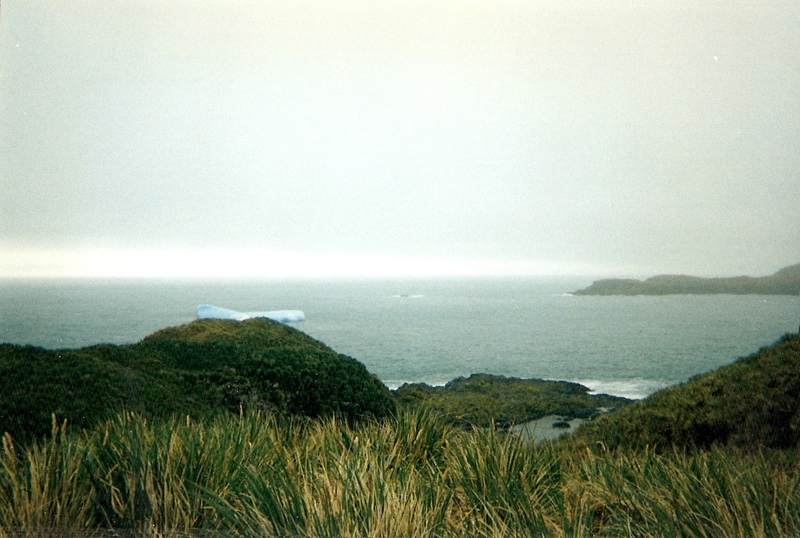 Fortuna Bay and Stromness both reveal highly deformed Cumberland Bay Formation strata. We saw primary bedding showing nice turbidites with fining upwards sequences, crosscut by cleavage and intensely folded and refolded in several places. The rocks themselves play a role in Shackleton’s history. On the descent through Shackleton Valley toward Stromness, we could see the same enormous overturned fold soaring above the station that Shackleton recognized as he crested the pass. Even before he could see the whaling station the rocks told him he was close to rescue. Today the whaling station is cordoned off because of asbestos and the potential for flying debris if the wind picks up. Seeing the rusting corrugated roofs and machinery was our first taste of the significance of whaling in the early 20th Century here. 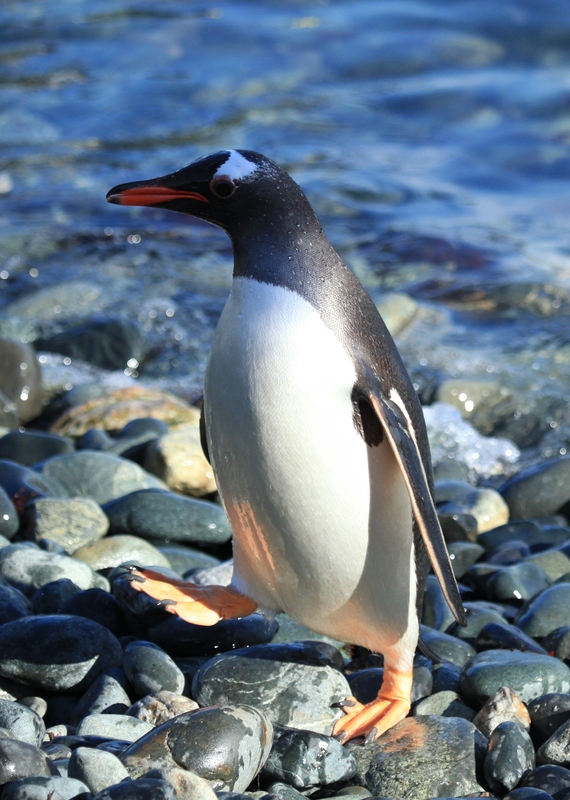 There were also plenty of very active fur seals and many elephant seals to entertain us, and a few Gentoo Penguins commuting from the beach to their colony nearby. Excellent account , and I guess the weather cooperated for a worthy pilgrimage.